Johnson missed a total of only four games over his first six years, including none each of the last two seasons. 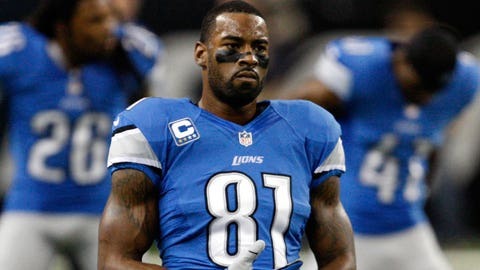 Receiver Calvin Johnson likely will undergo surgery on his right knee after missing the Detroit Lions’ regular-season finale Sunday at Minnesota. Coach Jim Schwartz confirmed Johnson’s status during his news conference following a 14-13 loss, but he indicated that it is not expected to be any type of major surgery. Johnson ended up 8 yards shy of becoming the first player in NFL history to post three straight seasons with at least 1,500 receiving yards. It’s only the second time in his seven-year NFL career that Johnson has missed two games in a season. He also sat out a game at Green Bay in early October. Johnson had played every game the last two years, and missed only four games total in his first six seasons.